2. Nominal Wall Thickness: 1/2 inch. 3. Interior Corners: Curved to 1-1/2 inch radius. 4. Bottoms: Pitched to outlet opening. 5. Sink to Top Sealant: Lab grade silicone or epoxy resin adhesive. 6. 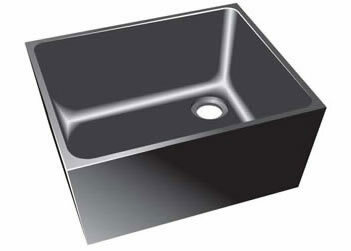 Sink Support: As provided by sink manufacturer for field cutting and application. 7. 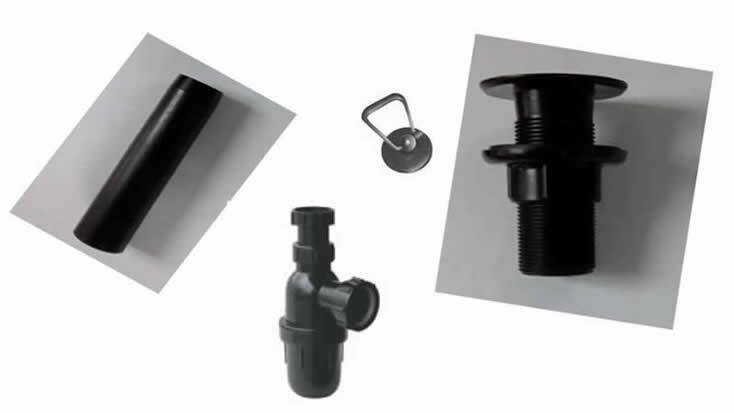 Sink Outlet / Waste: Provide outlet with 1.42 inch diameter outlet opening and 1.5 inch NPSM threads. Sink outlets shall accommodate a plastic disc strainer. 8. Overflow: Sink overflows shall have an open intake located at least 2 inches below the sink rim when installed. The overflow base shall taper to fit all outlet openings. 9. Stopper: 1.5 inch diameter to fit waste opening. 10. Color: Industry standard black or color match to laboratory counter tops. 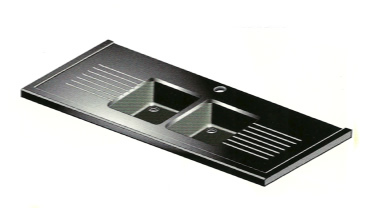 Under mount, underside or undercounter mount Duratop epoxy resin sinks are molded in one piece construction with inside corners coved, with the bottom dished or pitched to the drain outlet. 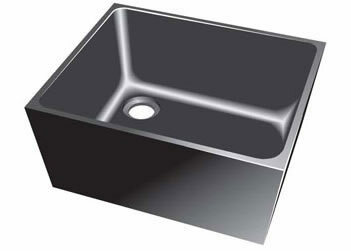 All Duratop epoxy sinks, produced of the same material as the epoxy resin countertops or bench toppings, are resistant to high mechanical or thermal shock and are chemical resistant. Dry Ice or liquid nitrogen however, should never be placed on the countertops or within the epoxy sinks, at any time or for any duration. In accordance with SEFA 2.3. underside installation of epoxy sinks should be made using the supplier's recommended chemical-resistant sealing compound or adhesive such as Smooth-On PC-3 epoxy adhesive or Dow 786 silicone sealant. nut / bolt "J" hook system to create a tight fit of sink to countertop underside. Remove excess sealant or adhesive while still wet or apply additional sealant under the countertop edge to form a chemical and leak proof seal. This should produce a tight and fully leak proof joint seal to prevent liquid migration into the cabinets. 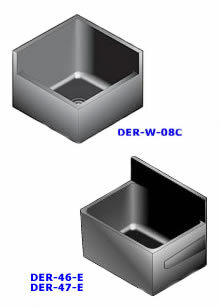 Double under mount epoxy sinks, in the configuration shown, are installed as separate units with a minimum of a 1 3/4" (45mm) bridge separating the two sink cutouts. 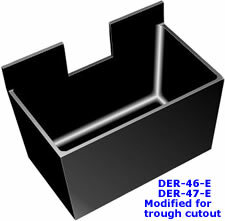 This method is typically used in the laboratory industry to accommodate the requirement of a double bowl sink set. The alternative method of installing double bowl under mount epoxy sinks is by gluing two units together and installing on the underside of the countertops or lab work surfaces. The cost of gluing and adhering to the underside will be greater than the above suggested method or a Single Double bowl unit described below..
is available from TLS for under counter mounting. and are approved under File Number M-970074". Compliant for Food Equipment Materials. Not Included with above set but available and in stock - See poly accessory.